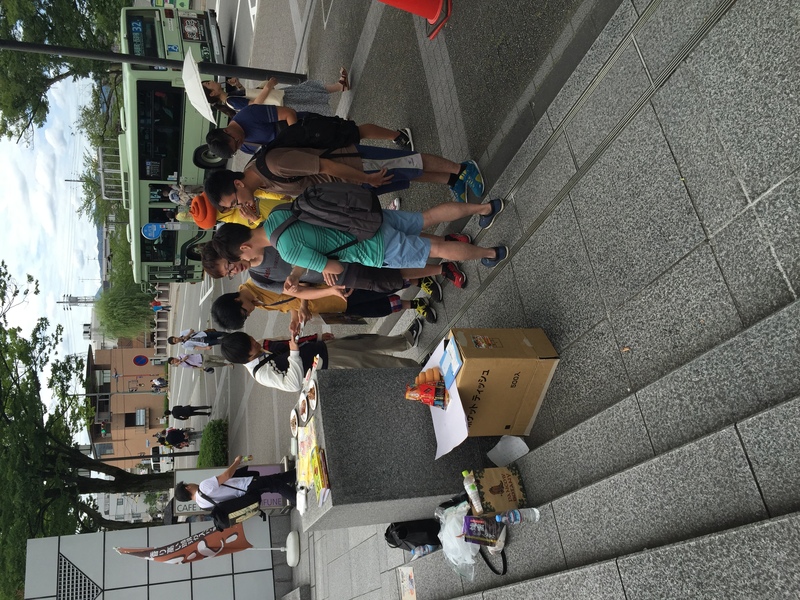 We were at Bitsummit in Kyoto to launch our Kickstarter. 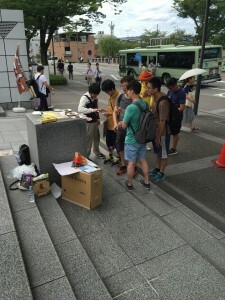 Except that we were rejected from Bitsummit. So we decided, what the hell, we’ll just rove around the venue handing flyers to promote our game. 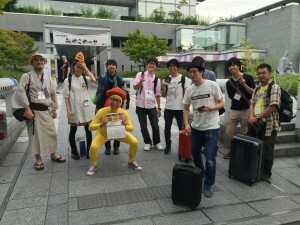 Except that on day 1, our very own Akihiko Koseki aka Poopman was barred from entering the venue with his Poopman hat and yellow leotard. How to turn adversity into opportunity? We camped out in front of the venue. It was hot. Sweltering. 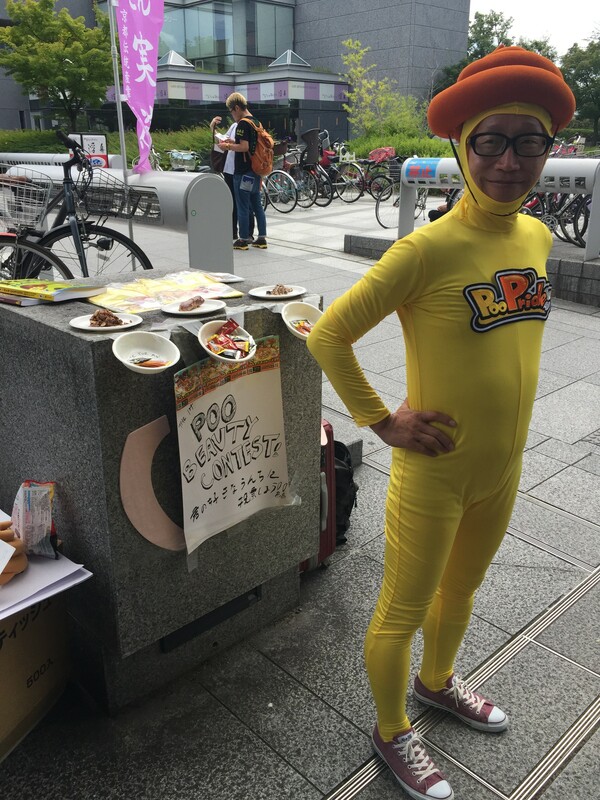 Poopman was in his full-body leotard, sweating it out. We were standing for 9 hours straight. We rallied 175 PooPrider Supporters! 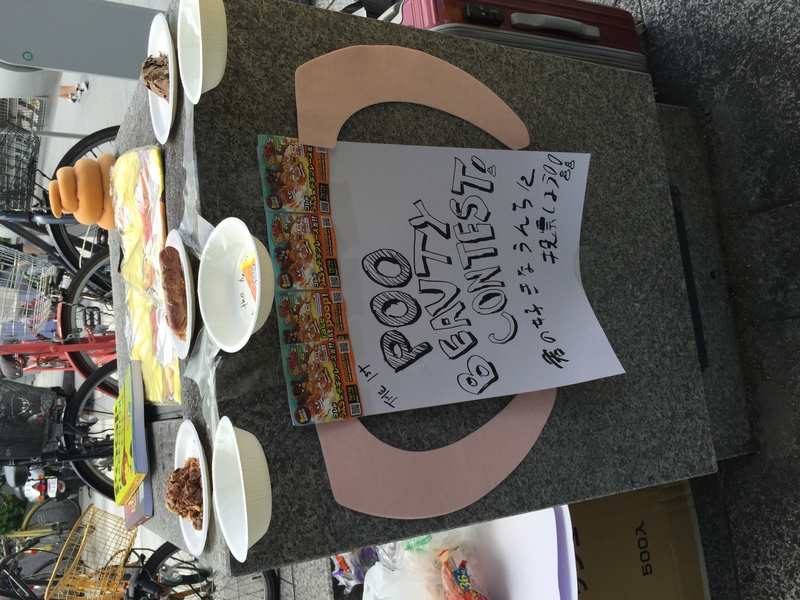 We held the world’s first Poop Beauty Contest! I think it is fair to say we brought lots of laughs and smiles to Bitsummit. And nothing like a belly laugh to get that poop moving. 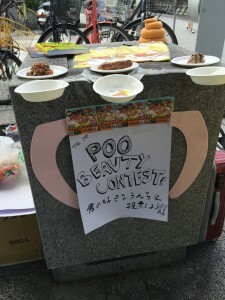 We believe that Bitsummit 2015 will go down in history as the least constipated gaming conference ever. Thinking Poopman does not get paid enough for smiling and sweating in a full body leotard with poop balanced on his head. Ah…but Poopman isn’t in it for the money! It is a Way of Life!